Aurecon: Following the release of the 2017 Federal Budget, the Australian Government committed to a AUD20 billion investment in rail infrastructure projects, recognising public transport and freight networks as essential to improving the lives of Australia’s citizens and boosting productivity in the country’s cities and regions. 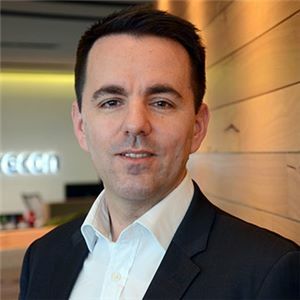 Amidst a drive toward inclusive rail and transport networks that maximise connectivity and ease of use, Infrastructure Technical Director, Mikel Alonso, at global engineering and infrastructure advisory company Aurecon, has moved into the role of Global Service Leader, Rail and Mass Transit. This move strengthens Aurecon’s commitment to provide efficient transport systems across several geographies, especially within rapidly growing urban areas. Mikel brings a blend of technical and leadership skills, together with a client-focussed approach. Based in Melbourne, Mikel has been at Aurecon for six years and has accumulated experience in complex rail projects across Europe, Asia, Australia and New Zealand. His significant industry experience in multi-faceted rail and mass transit projects, planning and delivery, and project management complements Aurecon’s strong track record of top-notch rail projects. Examples of these include the Auckland City Rail Link, Doha Metro Red Line, Melbourne’s Metro Tunnel, South Island Line in Hong Kong and the Level Crossing Removal Programme in Victoria. “With the number of opportunities and projects in the pipeline, it is evident that public transport and the rail sector is growing at an almost unprecedented pace. This growth cannot be approached lightly, especially since urban rail projects have the capacity to be a city-shaping tool, providing opportunities to directly improve user experience through urban regeneration and rail corridor renewal,” says Mikel. However, the growing rail industry is not without its challenges. The industry, in general, has to address and examine a range of concerns that have a potential impact on the success of the rail plans and programmes. “Rail plays a vital part in the productivity of our nation. Ensuring it integrates with other social and transport infrastructure is a continuing challenge, knowing that it has been disrupted by emerging technologies, unprecedented progress in urban environments and changing expectations of user experience,” says Ben Stapleton, Managing Director of Infrastructure at Aurecon. Mikel has been tasked to lead a global team of rail and mass transit specialists to deliver smart, efficient and future-proof rail solutions across passenger and metro networks, light rail and freight, as well as heavy haul rail. He believes there are tremendous opportunities in store for Aurecon to add value to its clients as the rail industry is in such a strong growth phase. “There is a real opportunity to better involve key stakeholders and the community in developing projects through appropriate stakeholder engagement at every stage of a project, from conception though design, delivery, and operation, which has become critical to achieve user-centric outcomes and deliver on time, on budget success of these large rail projects,” says Mikel. He inherits the Global Service Leader, Rail and Mass Transit role from Rowenna Walker, who stepped away from the position to focus on her position as Client Director, Transport – Qld/NSW, making her responsible for Client Account Management and work winning within both states.